Kirstjen Nielsen, the U.S. Homeland Security Secretary, is set to travel to the southern border with plans to visit ports of entry this week. The DHS secretary will speak with law enforcement officials before joining Donald Trump in California on Friday, April 5, near a section of the border wall. 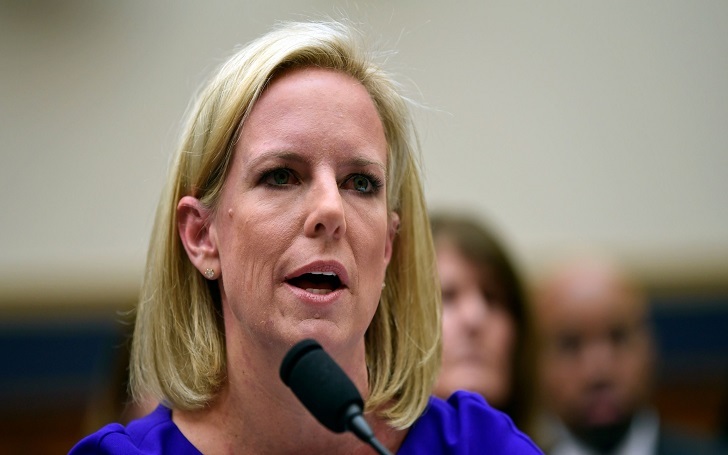 Nielsen will then travel to El Paso, Texas, to visit a port of entry and border station before traveling to Yuma, Arizona, where she will meet with leaders of CBP (Customs and Border Protection) and ICE (Immigration and Customs Enforcement). El Paso is already reported to be overpopulated with the increase in the immigrants invading through the Southern border. Reports claim that the CBP sector is already above its carrying capacity by 280%, including more than 3400 migrants in custody. Nielsen will be traveling to Calexico in California on Friday, where will join the president in visiting the border wall. She will be also discussing the border crisis and "the way forward" in a roundtable meeting. An emergency at the southern border has been declared by Trump. The border is reported to be closing due to the increase in illegal border crossings.